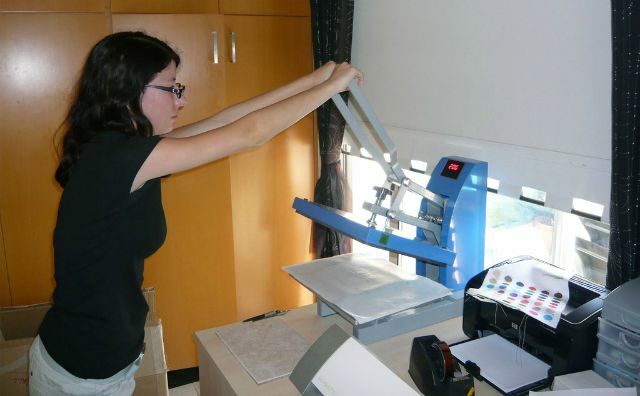 Katie is shown here operating the heat press making wedding favours for one of our couples. We have a range of specialist cutting and printing equipment, a heat press, ribbon printer and graphic design software so are able to make very professional wedding stationery and signs, plus unique personalised wedding favours, decorations and gifts to enhance your wedding tables. So don’t use all your luggage space bringing loads of stuff with you as we can supply it all for you.